A stem’s stated length is not simply the length of the whole stem front-to-back. 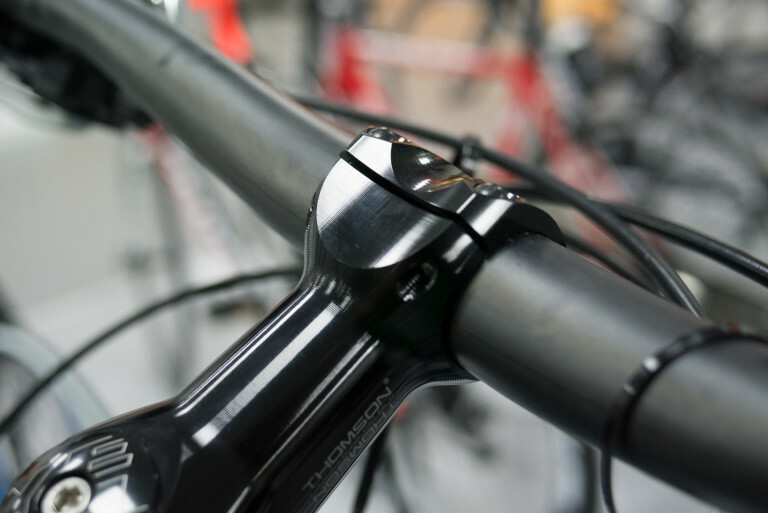 Stem length is measured from the middle of the headset stem cap bolt to the middle of the handlebar. Got it? Good. 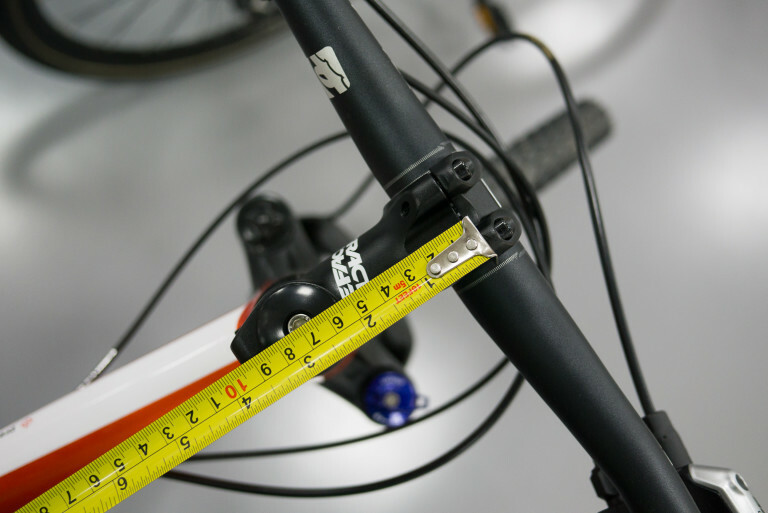 See the pic below for how to measure (it’s a 70mm stem). 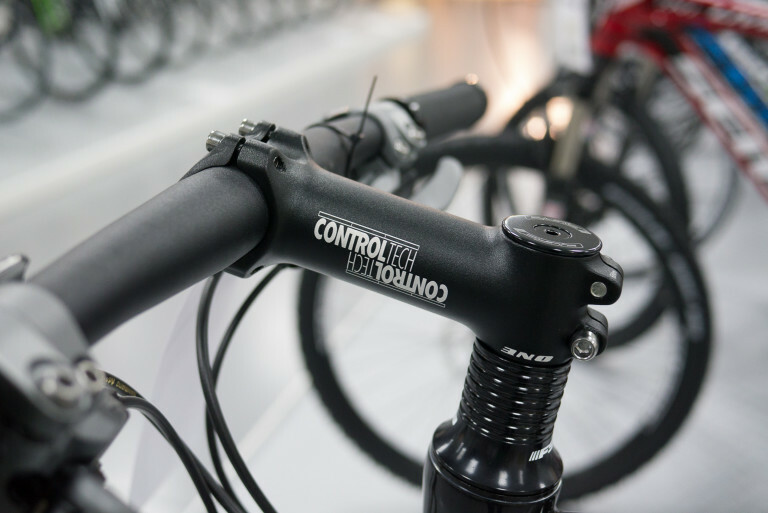 The reach of your bike is governed by the top tube length, saddle rail position and stem length / angle. However, stem length plays a large role in how a bike actually handles. Stem length is extremely significant when mountain biking. It is one of, if not THE most important aspects that governs how a bike handles. It is worth considering your own physiology too. Do you have a shorter spine and longer legs? Longer spine and shorter legs? Your own anatomy and the reach of your bike can affect your ideal stem length. 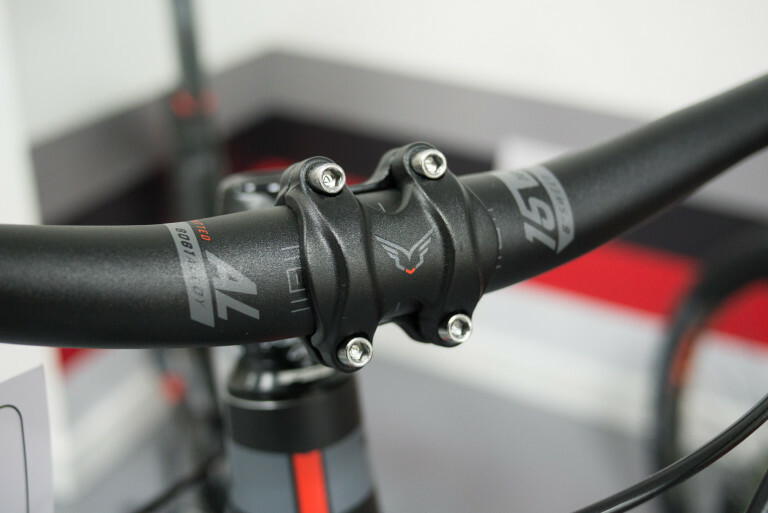 A stem that is too long makes for a mountain bike that is unwieldy on descents. When the terrain tilts downwards your weight quickly gets placed in front of the front wheel axle and this places you much closer to the going-over-the-bars tipping point. So just get the shortest stem you can get hold of, right? It’s not that simple. For example, someone coming from a 100mm stem and 660mm bars should try a new combo of 70mm stem and 720mm+ bars. There are very few riders (I don’t know of any) who have made the switch to shorter stem and wider bars and not preferred it. Virtually all stems are made from aluminium. Steel is reserved for super cheap bikes and kids bikes. Titanium used to be in vogue in the 90s but these days carbon fibre is the material of choice for those with more money (than sense). CNC machined aluminium stems cost more than forged and welded stems but they often stiffer. Some people also just like the look of CNC’d stuff. Which is fair enough. 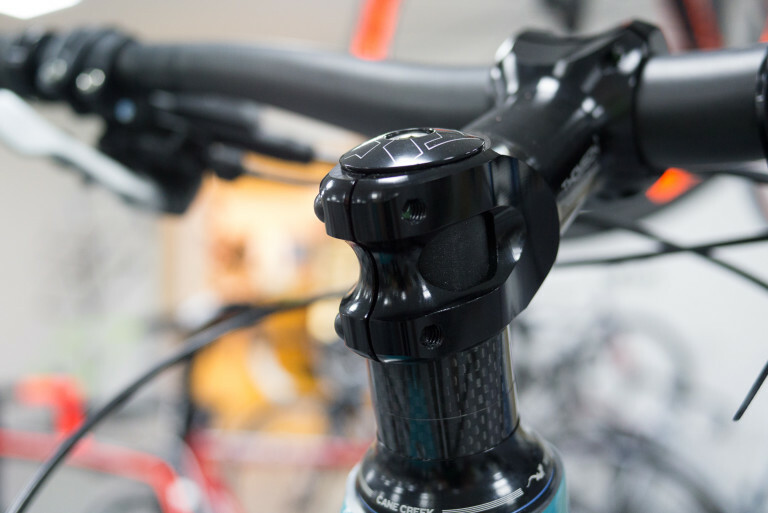 Which mountain bike stem should you buy? Regular riders should try as short a stem as their bike frame’s top tube allows before it gets too cramped. 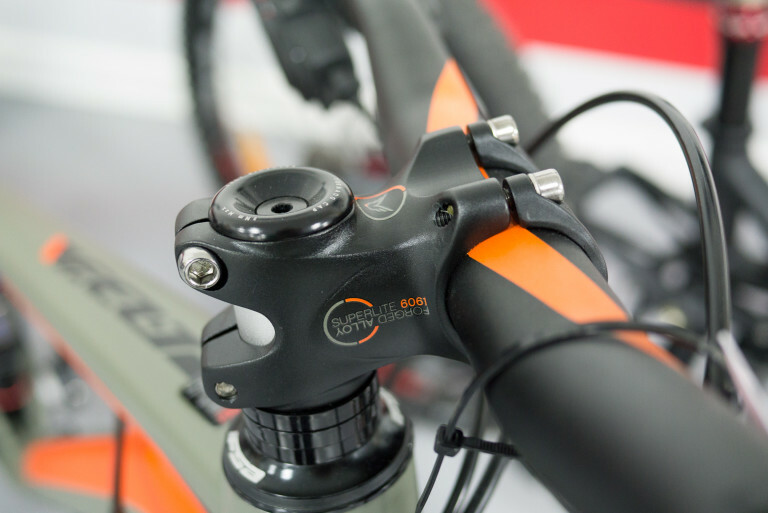 There’s not many riders who’ve regretted slapping on 60-70mm stem and enjoying the immediate handling benefits. Tagged 25.4, 31.8, 35mm, beginner, buyers guide, cockpit, stem, stems, thomson. Bookmark the permalink.